Author(s) Lu, Ning; Godt, Jonathan W.
Landslides are caused by a failure of the mechanical balance within hillslopes. This balance is governed by two coupled physical processes: hydrological or subsurface flow and stress. The stabilizing strength of hillslope materials depends on effective stress, which is diminished by rainfall. 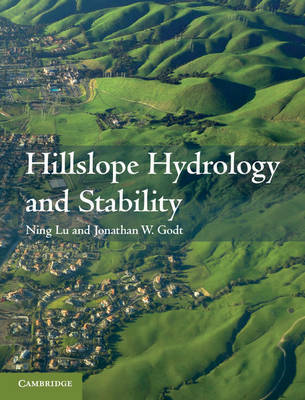 This book presents a cutting-edge quantitative approach to understanding hydro-mechanical processes across variably saturated hillslope environments and to the study and prediction of rainfall-induced landslides. Topics covered include historic synthesis of hillslope geomorphology and hydrology, total and effective stress distributions, critical reviews of shear strength of hillslope materials and different bases for stability analysis. Exercises and homework problems are provided for students to engage with the theory in practice. This is an invaluable resource for graduate students and researchers in hydrology, geomorphology, engineering geology, geotechnical engineering and geomechanics and for professionals in the fields of civil and environmental engineering and natural hazard analysis.